I found this online yesterday, a copy of a 1985 ADAM AND THE ANTS fanzine (love the title!) with THE EQUALIZER on the cover! And a Christmas message too. 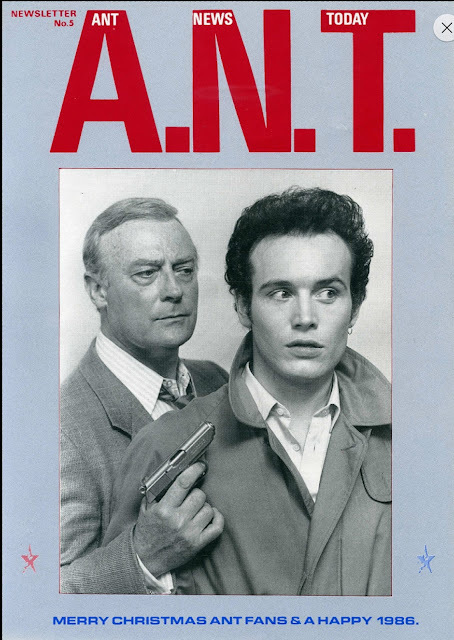 Adam Ant (or Stuart Leslie Goddard) branched out into acting in the mid-eighties and turned in a creditable performance, as a ruthless anything-goes brothel boss, in the first season episode The Lock Box. Another notable performance is in another Starlogged favourite: SLEDGE HAMMER!